It’s been a fantastic couple of weeks enjoying attending regular screenings at Outfest, the annual LGBT film festival in Los Angeles (www.Outfest.org). My husband and I have been enjoying this annual tradition every July for a number of years now, and we describe it as many things, including “gay film summer camp”. While seeing film after film in several local venues (we saw 8 films in one weekend last weekend) can feel like a marathon, it’s rewarding with each screening because each entry (short or feature) makes its own contribution to the festival, carefully curated by Outfest’s team of expert programmers to schedule something for just about everyone’s tastes. The combination of short films, feature-length, narratives, documentaries, classics, web series, and even TV events runs the gamut, both domestic and (perhaps even more fascinating) international. It’s primarily hosted at the two screening rooms at the Directors Guild of America (DGA) building on the famous “Sunset Strip”, but with additional locations such as REDCAT at Disney Hall, Harmony Gold (also Sunset Boulevard), and the theatre of the Ace Hotel in downtown Los Angeles. All of the festival is made possible by generous corporate sponsors like HBO, and from LGBT philanthropic donations at various levels of support (more on this later), and an army of generous and nice volunteers. All Shapes and Sizes – Unlike the West Hollywood bar and club scene, which tends to over-emphasize youth and beauty, the atmosphere of Outfest makes you feel welcome even if the 6-pack abs were a number of moons ago and you’re closer to retirement age than college age. The sense of community of “older” gay men is strong, but there are plenty of younger guys, too. Outfest tends to bring together the “old and new” generations somewhat, which is always rewarding to see. Seeing other gay men like ourselves mirrored in others is a validating psychological experience, and goes a long way toward helping gay men feel less alone, which can be a problem as we age. Sense of Community Beyond the Bars — While the screeningrooms at the DGA are pristine (no popcorn or any food allowed! ), it’s still festive with the “gay sparkle” all over the premises. It’s nice to have a robust, gay-specific atmosphere that is not a bar or club (or the related loud noise) and it’s possible to meet strangers easier and engage in conversation about how they liked (or didn’t) the last film that they saw. Whether it’s making connections for new platonic friends or asking someone out, the lobbies and waiting lines (as well as the bar area at the DGA) are a great place to meet guys. Chronicling Our Culture – The films at Outfest are like time capsules; they are a photographic history of our culture as only we can express it. Although most of the films take place in the present day, we are recording our LGBT history in these stories through the brilliant collaborative art of filmmaker/director, producer, screenwriter, designer, and actor. The stories depicted in these films and their characters are usually works of fiction, but they are more “real” than almost anything else we see all year. The films bear witness to the contemporary LGBT experience, and tell our own history as it is unfolding, from the diverse points of view that comprise our community. While we all might love various mainstream films that are released in the year, it’s a special thing to see an entire collection of films that are specific to LGBT lives, experiences, and relationships. There is a sense of “ownership” that we are the custodians of our history, in a mutually-respectful relationship between the filmmakers and the audience. This sense of “owning” and “belonging” enhances all our collective LGBT mental health by making us feel that our stories are important, and worth telling, and that our feelings are universal, not only to other LGBT people, but to humanity on the whole. Opportunity for LGBT Film Professionals – As someone who does not work in the film industry, I can sense the value of Outfest to those who do. The Q&A periods after many screenings reveal the struggles and the rewards of being a young director, producer, actor, or other film professional. Many of the films, it appears, were funded by family members (some families can afford this more than others, though) and through Indiegogo or Kickstarter campaigns. By having an LGBT-specific film festival local to Los Angeles, I have a sense that many young entertainment professionals are going on to get paying work long after the two weeks of Outfest are over, which is a great thing. The exposure and the networking help to give opportunities to LGBT filmmakers to continue to document our stories in a way that helps to sensitize the general population to the LGBT experience, and, I believe, to promote understanding, tolerance, acceptance, and overall goodwill. I think these LGBT films, if they are seen by the right people (and that’s always a concern that I have; are they seen by the people who really need to see them?) can go further than any pamphlet or lecture. When these films reach would-be homophobes on an emotional level, I think the films have the power to change hearts and minds, so they are a powerful resource to effect real, meaningful social change (and maybe change some votes in the next elections!). Reassurance of Dignity the World Over – Since I don’t travel much for work, I don’t see as much of the world through frequent travel as some of my middle-aged gay male peers in the corporate world, so the films at Outfest that take place (and were shot) in foreign locales are particularly educational, like seeing a travelogue, as well as being meaningful. Issues of local or national culture are explored in so many films, showing differences in language, custom, and way of life, and yet preserving the universal idea that LGBT human beings are seeking peace, love, and life in cultures and locations across the globe. I work with some lonely or isolated gay men, and in sessions I have discussed with them how Outfest films can reassure us that “we are everywhere”, and that LGBT people have universal truths about our experiences in life that transcend borders. How comforting, I sometimes think, to know that the LGBT truth is a part of our whole world, and has been for all time. This goes a long way to cognitively challenging the negative messages that far too many LGBT people grow up with, that we are somehow a “new thing” that is “aberrant” or otherwise “sick/bad/wrong”. As the introduction trailer/montage said before each film this year, once we learn that what we were taught about LGBT people being “less than” or “evil” has been proven wrong, we start to wonder, what else have we been taught that was wrong? Coming out and becoming a part of the LGBT community helps us to develop valuable cognitive critical thinking skills that help us to be more self-aware and more just plain “woke” to the world. It also helps us to feel less like “isolated freaks”, as so many of us do in our childhood or adolescence without being exposed to other (known) LGBT people. Knowing that we are not alone – anywhere we go in the world – can be reassuring and a boost to our mental health and well-being, giving us self-empowerment and the ability to challenge (and correct!) any cognitive negative messages that we have internalized over time that might contribute to low self-esteem or even internalized homophobia. The international stories re-affirm our global dignity and reassure us that our experience as LGBT people is valuable and valid. Sense of Community Organization – Because Outfest is a non-profit arts organization, there is a sense of community ownership of it. It wouldn’t be possible without charitable donations. 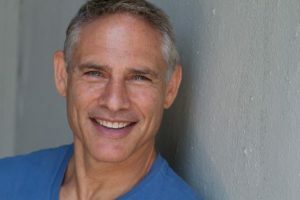 I have a good friend, Russell Todd, a former actor, model, and now agent for Steadi-cam and camera operators (www.russelltoddagency.com) who recently joined the Outfest Board of Directors. It was touching to hear his sense of pride and commitment to this cause in a speech he gave to the audience to introduce a film, and he was featured in one of the films, about producer Allan Carr. He and his partner, Dan Lauten, were moved by the enjoyment and reward they get from Outfest each year and were inspired to become major donors. Outfest offers memberships and sponsorships at many levels, and these combine to make a very special event and time of year happen. From the early days of the LA LGBT Center, to all the AIDS service organizations, the gay community has been especially generous to take care of our own, and this only comes from sharing a collective belief of what we can do when we come together using our ideas, sense of commitment, creativity, and spirit of celebration of what the LGBT culture has to offer to each other and also to the community at large. If we are to exalt, preserve, and encourage LGBT-specific culture and arts, we need to remain steadfast in supporting all our LGBT-community specific organizations, and this can be through patronage (go see the films! ), sponsorship (small to large financial commitment), or volunteering. We own our community; we create it. We protect it. We live it. Through two wonderful weeks a year that is Outfest, we celebrate it. If you’re not already a part of it, you now have 11 months to plan your involvement for next year.